A hundred years ago women won the right to vote through campaigning and direct action, calling for Deeds Not Words. We want to celebrate that centenary with a campaign on a new front line for women – the right to mental health and well-being. As women in 2018 we have rights, power and influence which we can use in place of the direct action which women had recourse to in fighting for the vote. But Deeds Not Words still applies because our campaign is about moving beyond discussion and making real changes. The campaign is ambitious and some of the changes we seek to make will take years; but some changes, especially those we make for ourselves and for those close to us, can be achieved right now through our own action. 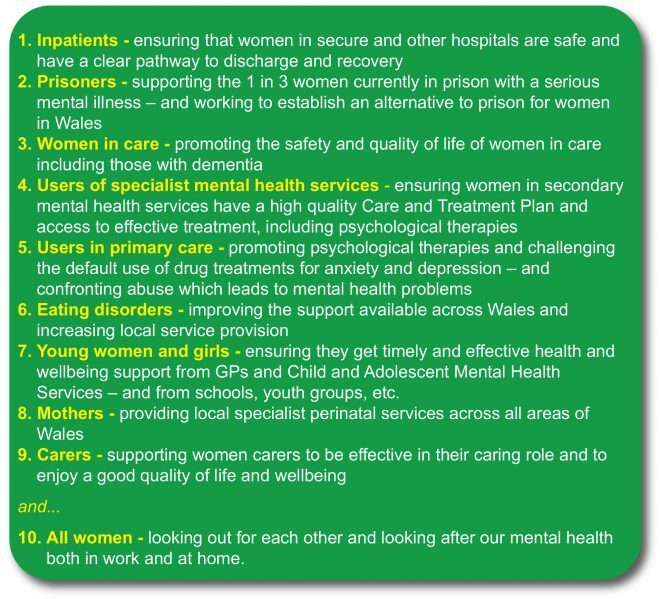 A survey of women in Wales asking whether the performance of the NHS and Social Services is based on words or deeds – are they delivering? A concluding event where we will set out what we have achieved and what we will do next. reach out and support other women who may be facing mental health or caring difficulties. We are also calling on women in Wales with power and influence to change policies and legislate in order to support those women who are most vulnerable. We will ask the same of men in power. 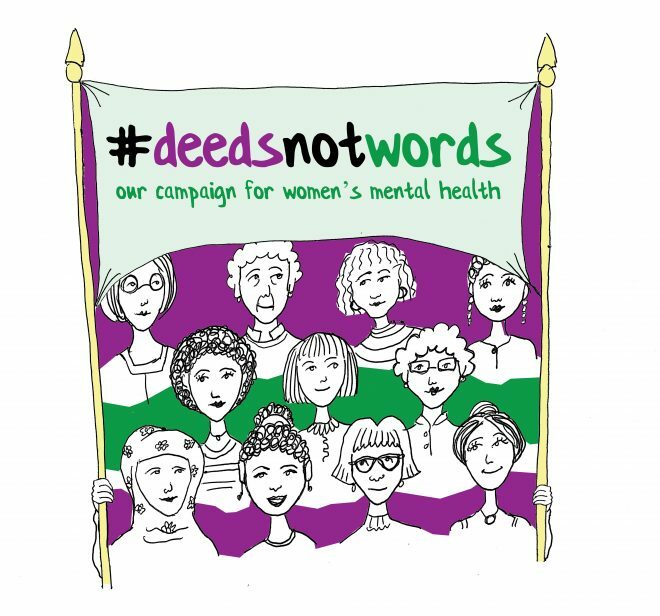 We are asking everyone – women and men – to support the reach of the campaign, either by spreading the word or by following the campaign on social media (and using the hashtag #deedsnotwords). Nicola Thomas, Director of Corporate and Public Affairs.